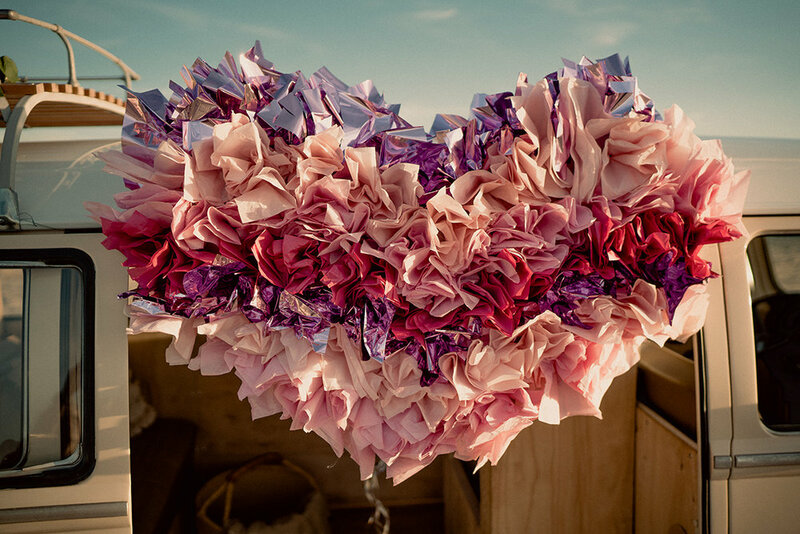 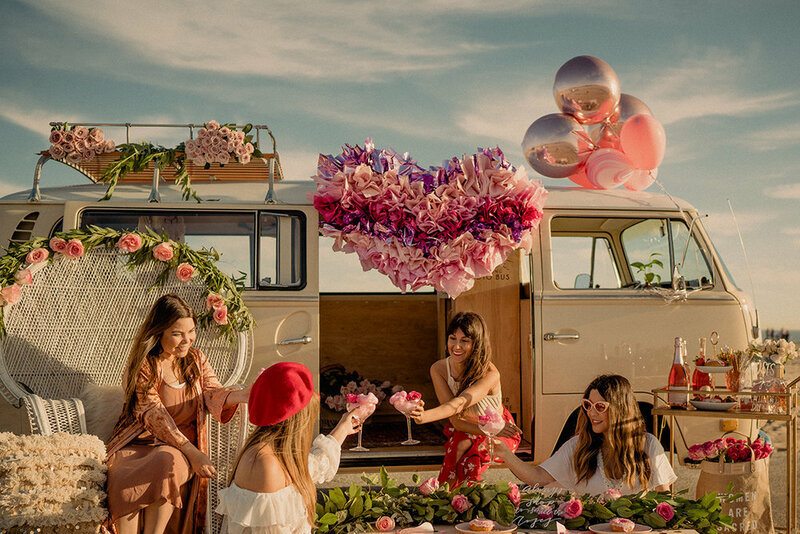 February 14th, a day dedicated to celebrating love and relationships, and in an even more “traditional” sense, made for couples. 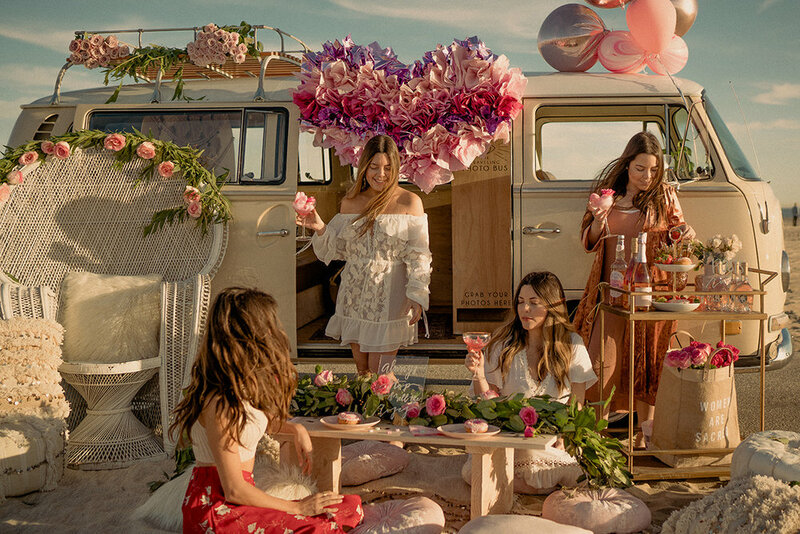 We threw tradition out of the Traveling Photo Bus’ window; for some laughs and love with our favorite ladies – that’s right, it’s Galentine’s Day! 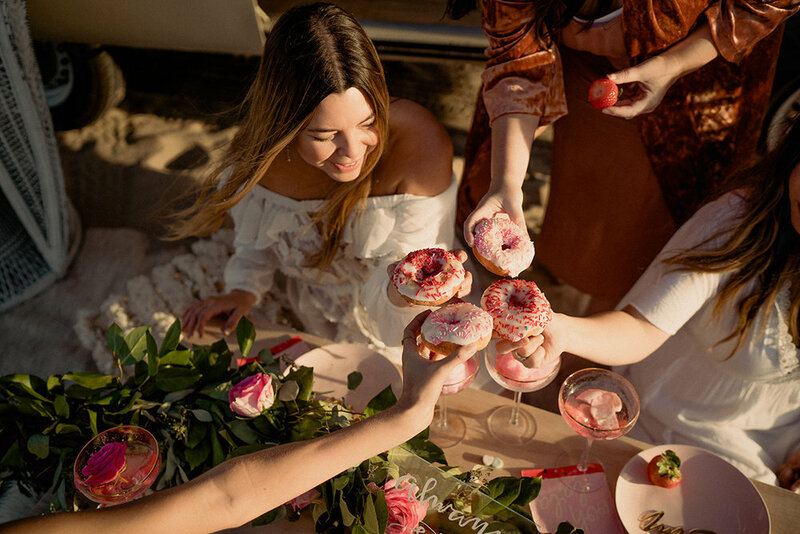 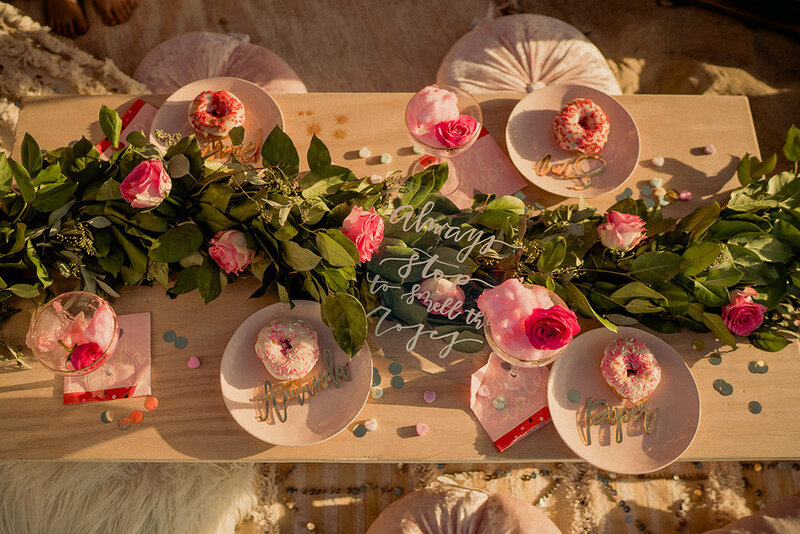 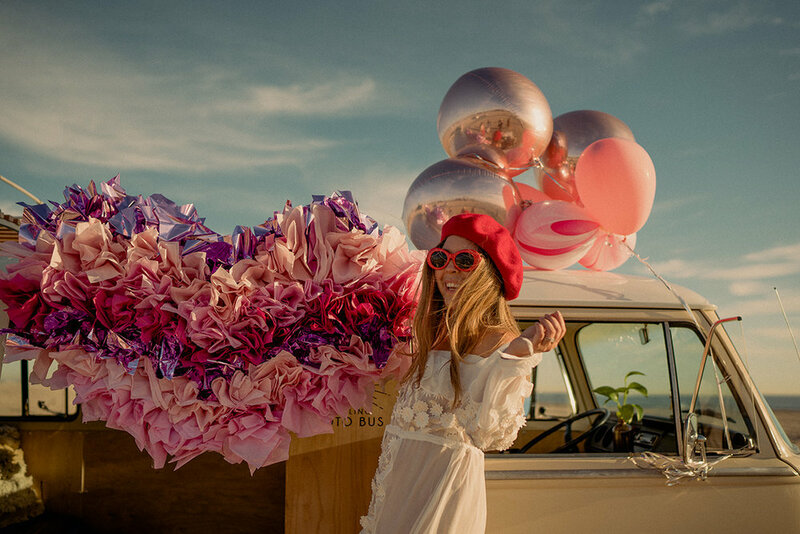 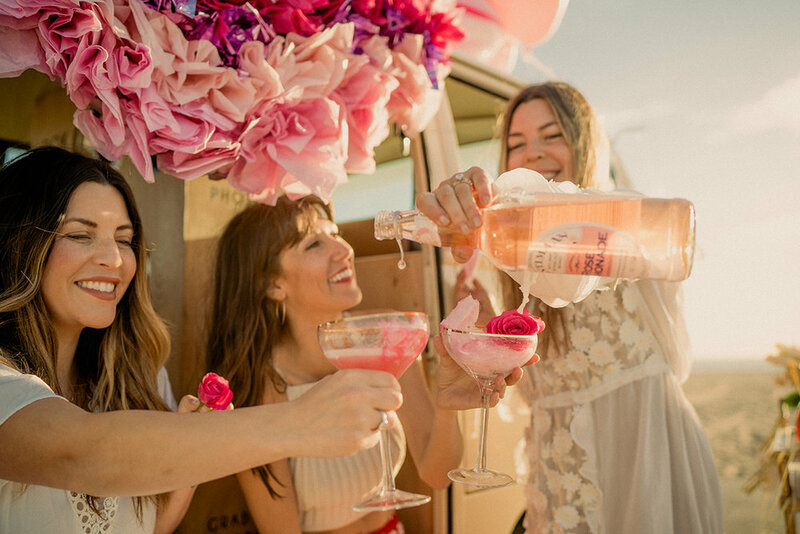 So, what to do for my Galentine’s celebration; perhaps plan a pretty picnic party, maybe a gathering of gals for a bit of glamping grandeur, or retreat to a posh poolside paradise? 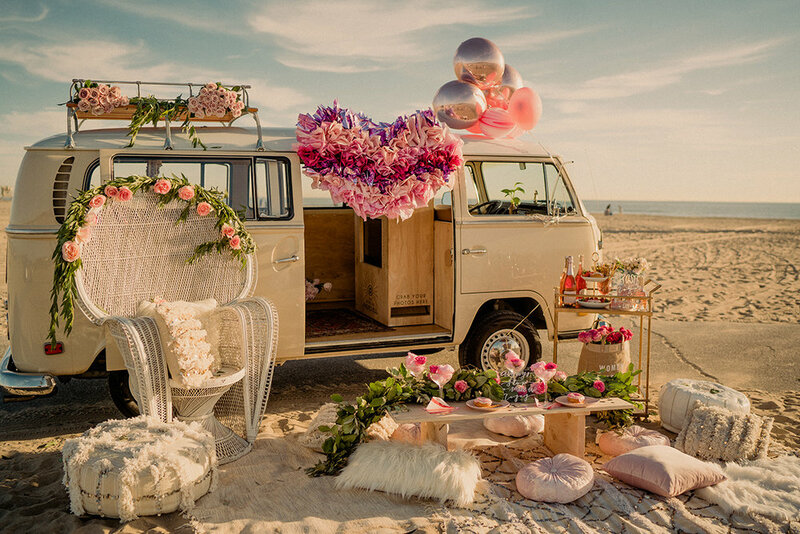 Well, weather here on the West Coast had been a real dreamboat lately, and I know exactly what to do when it’s perfect on the Pacific, head to the beach! 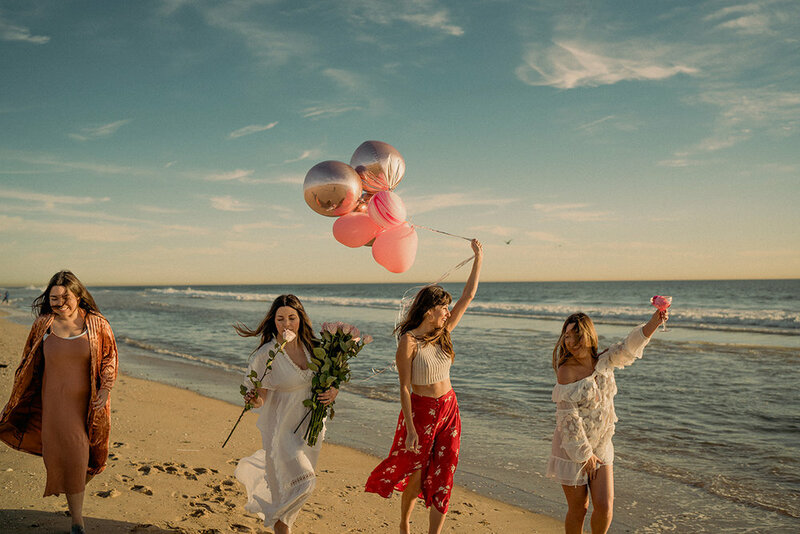 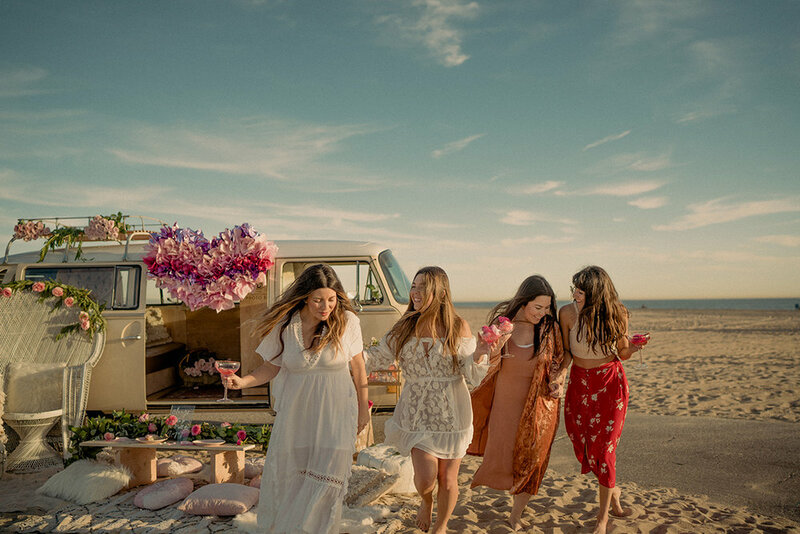 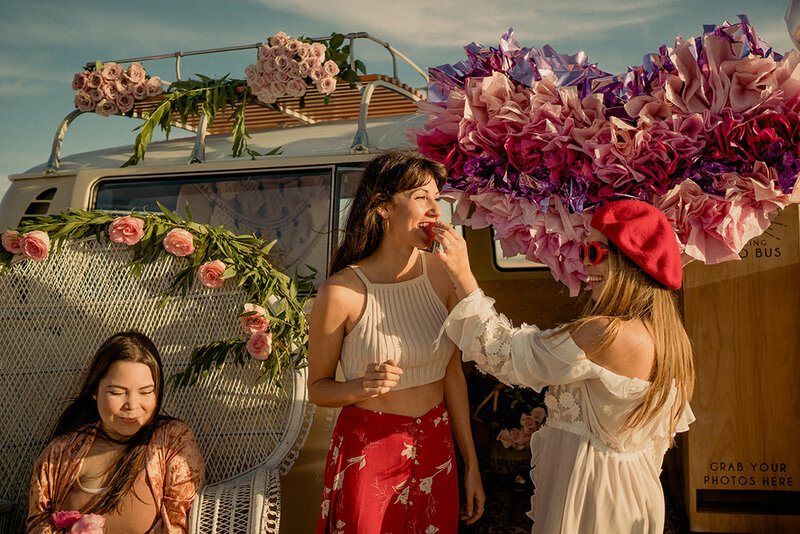 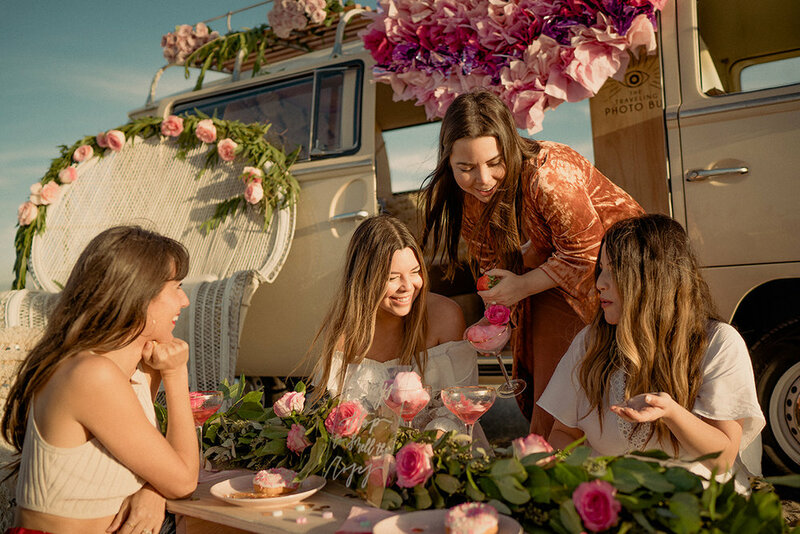 I called up three amazing sisters from Spell Bundle, an event rental and styling service based out of Riverside, California; and amazing photographer Amanda Cantón based in Costa Mesa, CA and the magic ensued!